Police are to review an investigation into the death of a man at his Gloucestershire farm 27 years ago. Tony Alliss died of gunshot wounds in woods near Stroud in 1991, following a long-running boundary dispute. His neighbours - father and son Terence and Graig Maule - were cleared of murder and a civil claim for damages against them also failed. Gloucestershire Police will see if there is any "compelling" new evidence that could lead to a reinvestigation. A spokesman said: "The case was last subject to a comprehensive review by the constabulary five years ago resulting in a complete revisit of the forensic and ballistic issues by experts. "Following the review the case was put before senior Crown Prosecution Service lawyers who decided the evidential test was not met." Mr Alliss's family have welcomed the development as they have campaigned for years for the case to be reopened. His sister-in-law Mary Alliss said she hoped it would lead to a full reinvestigation instead of "just a review of the same old evidence". 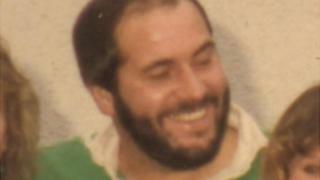 A judge at Bristol Crown Court ruled in 1991 that there was no case to answer, clearing Terence and Graig Maule of involvement in the killing. Mr Alliss's son Leigh brought a civil action against the Maules in 2002, which was rejected by the High Court. His widow Marilyn and brother Bob called in 2008 for a "not decided" verdict to be introduced into English law.